You’re never too old or too young to discover crochet. The skills you master, the benefits you receive, and the beautiful heirlooms you create can last a lifetime and be passed on to future generations. 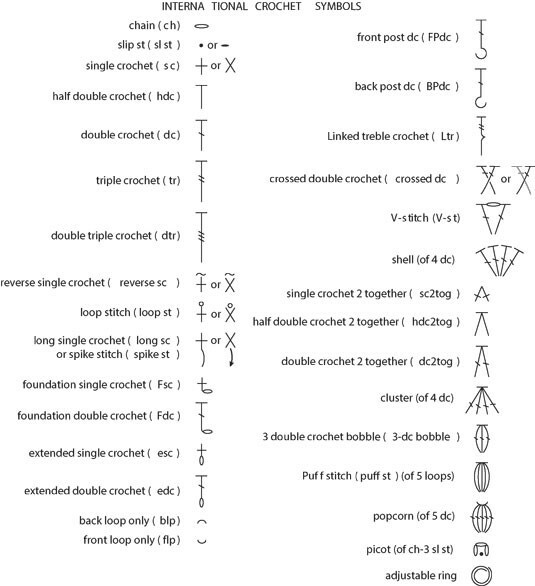 To get started with crocheting, you need to decode crochet symbols and abbreviations so you can follow patterns with ease, and you need to find out what gauge is (and why it’s so important). Making sure your stitches are consistently the right size is very important when crocheting. To get the shape and size you want, you must check the gauge provided in your crochet pattern; gauge is the ratio of a given number of stitches or rows to inches (or some other unit of measurement), such as seven stitches per inch or four rows per inch. You use this ratio to keep your stitches consistent and the size of your design on track. Make a swatch of the stitch pattern using the materials and hook size called for in the pattern. Your gauge swatch should be 1 to 2 inches larger than the measurement given in the Gauge section of the pattern. For example, if the gauge given is 4 inches, you should make your swatch 6 inches so you can get an accurate 4-inch measurement across the center of the swatch. Block the swatch by lightly spraying it with water and then smoothing it out flat on a towel. Measure the stitches and rows across the center of the swatch and then compare your measurements to those listed in the Gauge section of the pattern. Usually gauge is measured across the center 4 inches. Using a ruler, count the number of stitches and rows across the center 4 inches of your swatch. That number is the gauge.